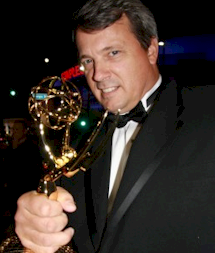 Doug Stanley is the original producer of one of Discovery Channel’s longest running hit TV shows the Deadliest Catch! Doug is also CEO and founder of Ridgeline Entertainment; a cutting edge TV/film production company focused on telling authentic, compelling, emotionally gripping stories from all over the world. Whether developing a full-length feature film, a reality television series or high-quality infomercial, Doug believes it’s all about the story and that there is nothing more exciting than seeing a great story come to life on screen. Adding a new chapter to his long and successful career as Primetime Television Producer, Doug is the visionary and architect behind the deeply talented team at Ridgeline Entertainment. Though best known for his seven years producing “Deadliest Catch” but he has also produced a multitude of top shows for many networks including FOX, ABC, Animal Planet and CMT. We are very excited and privileged to have Doug on board to co-produce our Magical Tails of the Dolphin documentary special and to serve as an advisor to EcoArk in our future productions and entertainment endeavors.